As a cigar enthusiast and resident of Northern Virginia, I would be remiss not to write about a luxurious new cigar lounge opening in my backyard this spring. 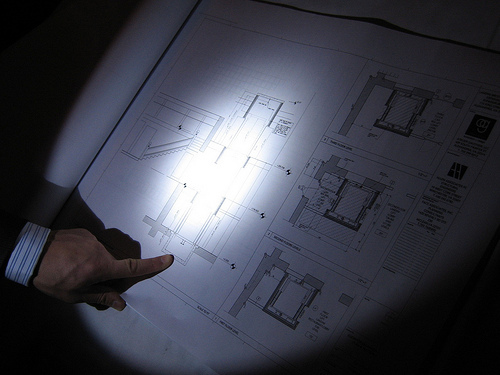 Called CXIII Rex, it will be an expansion of the Landini Brothers restaurant in Alexandria. And, from what I saw on a recent behind-the-scenes tour, it promises to be one of the best cigar venues in the country. 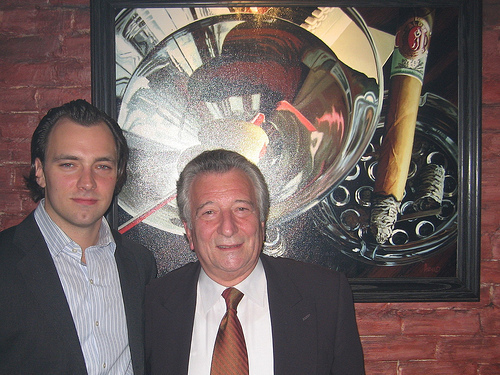 CXIII Rex is the brainchild of Noe and Franco Landini (pictured above), hosts of Landini Brothers and avid cigar fans. Their restaurant—which, I can attest from more than a few visits, offers outstanding Italian cuisine—has been a haven for Washington-area cigar smokers for 30 years. But when it became clear that Virginia lawmakers would pass a statewide ban, they started to lay plans for a benchmark cigar club with unique benefits and members-only offerings. Sure, CXIII Rex will have all the amenities of traditional cigar lounges, including a well-stocked walk-in humidor, a selection of top libations and small-batch wines, ample seating, wireless internet, private humidor lockers, and the like. But this club, slated to open in late March, will also feature more luxurious accommodations. Included will be a state-of-the-art air ventilation system, an access-only elevator, an all-female wait staff, and a private cigar blend crafted by none other than Rocky Patel. While all these amenities are fantastic, the club’s finest asset will be the 19th century building in which it resides. Franco and Noe gave me a first-hand look at the future site of CXIII Rex on Monday. Currently under construction in a building adjacent to Landini Brothers, it is an impressive space with ample character and charm. It was only on this behind-the-scenes tour that I got a sense of the size and scope of the future multi-level club, which is complete with a dramatic staircase and a layout built for privacy, comfort, and flow. Individual memberships, as you might expect from a club of this caliber, are not inexpensive. The cost is $5,000 to join CXIII Rex and $100 each month thereafter. Franco and Noe tell me that 200 slots are available, 160 of which are already claimed for. If, like me, this is above your price range, or if you reside outside the Washington metro area, you still have to appreciate the high attention to detail and passion that’s going in to creating a premier cigar lounge. I haven’t seen anything like it before. And for those of you who plan to invest in a CXIII Rex membership, please feel free to invite me as your occasional guest. I’ll even throw in a few cigars. Sounds FANTASTIC. I will look into this. And you're right, by the way, about the food at Landini Brothers. Love it. Sounds awesome, to say the least. I know what I’ll do if I find an extra $5,000 in my pocket. I wonder if a few of thos Rocky Patel private blends will leak out? Even for Old Town this will be a pretty swanky place to light up. Sounds like a great place. I wonder what else the membership fee and additional $100/month gets you besides entrance and a great place to relax, light up, and enjoy the wait staff. Or maybe even more than $1m – depending on whether it’s 200 slots or 360 slots (hard to tell from the way it’s written, frankly). And you also have to pay $100 a month on top of that. That’s at least another quarter of a mil in annual cash flow. Plus drinks, etc. Not a bad little gold mine if it works. Our company supplies cigar cases and S. Cedar cigar and wine lockers to restaurants, cigar lounges, casinos, hotels and various private clubs around the country, one of our largest project was the Grand Havana Club in Miami, located at the Wachovia Tower in Down Town Miami, a walking Humidor for 1000 members, and the biggest in the world. Our company has been in business 15 years manufacturing quality wood products for the cigar industry, customer service is our trade mark and have an impeccable reputation with our clients. It is my understanding that the $100 per month is actually a “minimum” which is quite different than an additional fee per month. Spending $100 for food, drink and cigars in a really great cigar club will neither be a hardship nor be unexpected. Please add me to the email distribution. Thanks. The favorable and quite accurate review above fails to explain, as all descriptions of the club I have read also fail to do, that the $100 monthly is a MINIMUM — it counts against your monthly spending. This was confirmed to me by Franco Landini personally. So, who would not spend $100 in a month on food, drinks, and maybe cigars in such a beautiful club? Please add me to distribution.